Take this agile challenge – go on I dare you! Prove to someone in less than 5 minutes that you are an agile thinker. Give up? Did you even try? You will be surprised that if you try it often enough you will expand the boundaries of your mind considerably. It is very similar to thinking outside the box or connecting the nine dots. It will sharpen your intellect to deal with all sorts of problems on the fly. Here’s is how I proved I was an agile thinker to a group of colleagues. First a little background. I have always enjoyed playing chess since I was around 8 years old. When I first started working in business, I did a great deal of work at night. One of my fellow workers was a ranked class A chess player and quite good, so we played several games each night. I do not enjoy blitz chess, although we used to play fairly fast games. He was a very defensive player and I have a very aggressive game style. Unfortunately, I do not get enough time to play as often as I like now and I am careful when I play with friends. Once, years ago, I beat someone with the Sicilian variation of the Halasz Gambit. The poor looser had a fit, broke his expensive crystal King chess piece in half and never spoke to me again. Ok, on to the challenge. I was playing chess with some friends the other evening in the hills to the south of my home while waiting for the sun to set. Our one friend, Daren, who lives in a beautiful home on top of the mountain has several expensive telescopes. Tonight, we intended using a Sky-Watcher Quantum 150ED APO triplet refractor telescope for some amateur astronomy, we had planned later that night. After a German style spaghetti meal I had furnished (my mother’s recipe), we thought we would get in a game over coffee, brandy and cigars. We had to let the telescope cool down to the ambient night temperature and of course wait for the proper progression of the night sky for viewing. I honestly do not know how we got on the topic, but the two of my friends that are in the IT profession began to tease me about being agile. One thing lead to another and a bet was made that I could not prove I was an agile thinker in less than 5 minutes. Normally, I do not rise to take the bait in such challenges. However, when they put a box of Padron 1926 Anniversary series cigars and a bottle of Balvenie DoubleWood 17 year Scotch on the table, I was hooked. The challenge was to create a new form of a chess game, complete with rules in less than 5 minutes. It had to be interesting, novel, unique and workable. They were going to be the judges. Now this sounds like a stacked deck (is that a mixed metaphor because we are speaking about chess?) and it was. My friends were honest though, and besides Daren’s wife, Gwen was kibitzing and I knew she had merciless ways of keeping them honest. 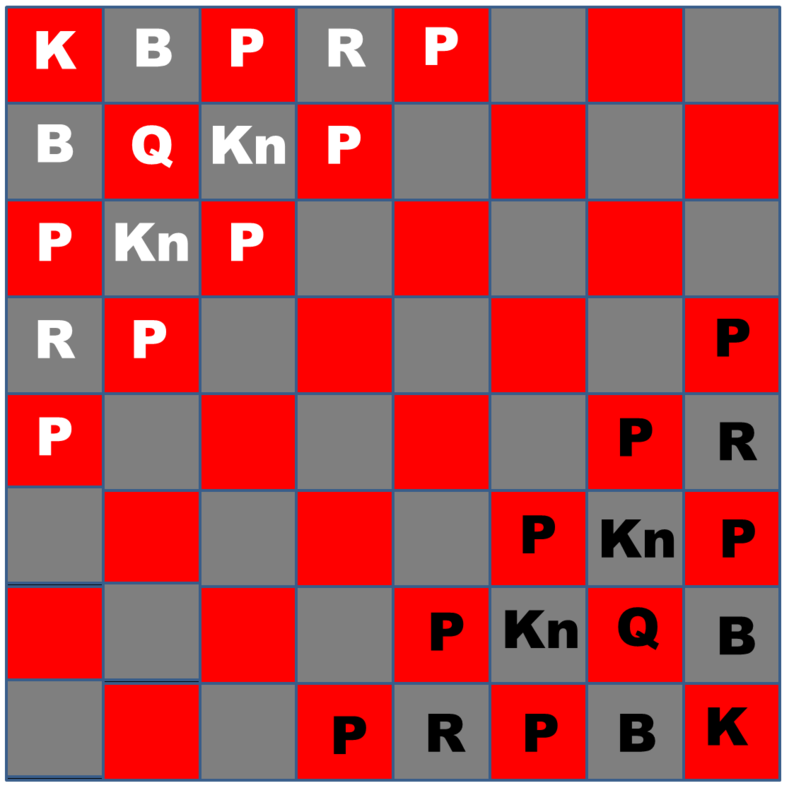 Players start with one pawn in reserve whenever they lose a piece they can choose to replace it with that pawn on the nearest square to where their piece was lost, without putting the piece in immediate jeopardy. They can do this for any piece and do not have to replace the first piece they lose. As the French say, voilà! By-the-way, I am enjoying my cigars and Scotch immensely! You see there are many benefits to agile thinking, so till next time, keep agile! This entry was posted in Agile for Beginners, Agile Gaming, Agile Thinking, Chess and tagged Agile, Agile Thinking, Innovation, Keeping Agile, Logic. Bookmark the permalink. Cool post! Want to play a game by email? Have you thought about creating an e-game version? It occurs that there have to be some mental tricks that you are using to think like this. I read your post on brainstorming, but that doesn’t tell how you are actually thinking. Care to share some secrets? I believe this is an excellent tactic to make a challenge in the form of a game in order to encourage a new thinking pattern. When everything we do is merely the drudgery of work, our creative aspects are seldom fully engaged. You are one clever guy Brian, how come you are not on Facebook with the rest of the world. I would love to friend you! Wow Brian! Your are not just proving your agile you’re proving you’re a GENIUS!!!! 🙂 Love to attend a webinar of yours! You have proved you are an agile genius! I am genuinely thankful and grateful for you for sharing your advice and wisdom at Monday’s dinner. You are by far and away the most interesting dinner speaker and conversationalist I have ever met. I finally got to your blog and focused in on this post as my first read. You certainly proved to me that you are AGILE! 🙂 I look forward to our next meeting!